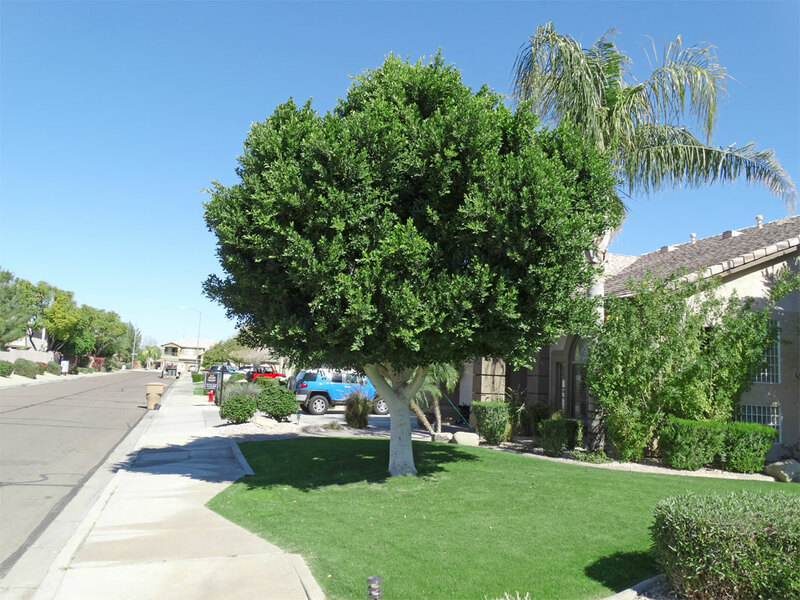 These waterwise trees have been selected because they are extremely attractive and easy to maintain for many residential landscapes. 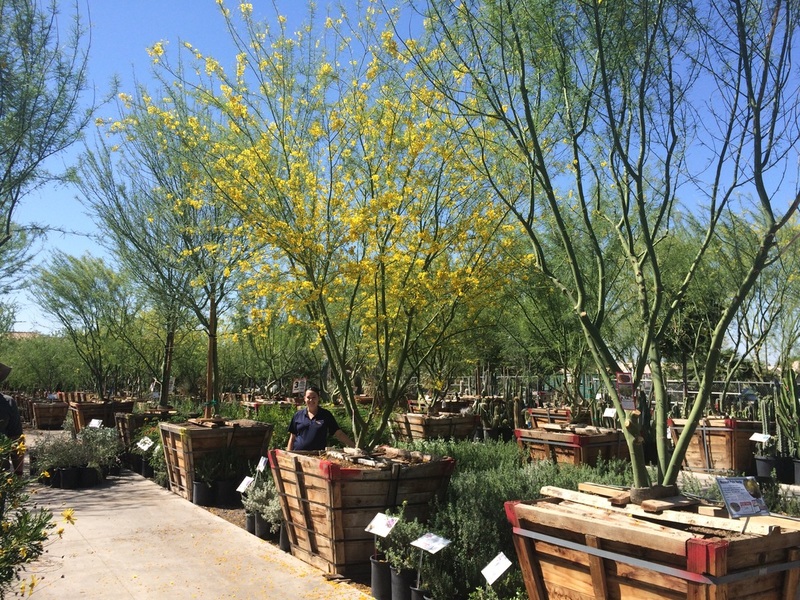 These varieties thrive in Southern California's semi-arid climate and are nearly water free once planted. For more varieties and information please call one of our nurseries and speak with a waterwise expert or schedule a waterwise consultation here. The Ficus Nitida (Indian Laurel), known for growing to a perfect shape and keeping remarkably clean. A great waterwise addition to any landscape. Ficus Nitida details. 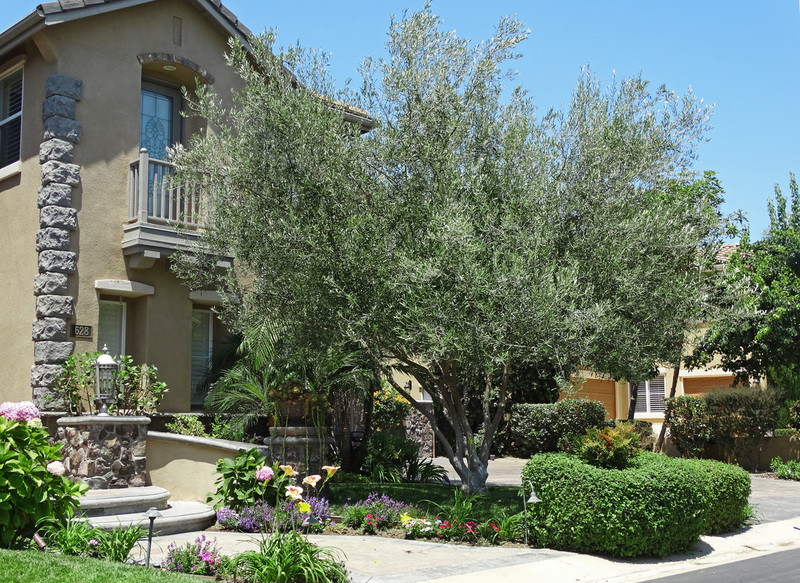 Fruitless Olive trees produce large amounts of shade to any area, grow to be a hardy medium size and are perfect for SoCal's climate. 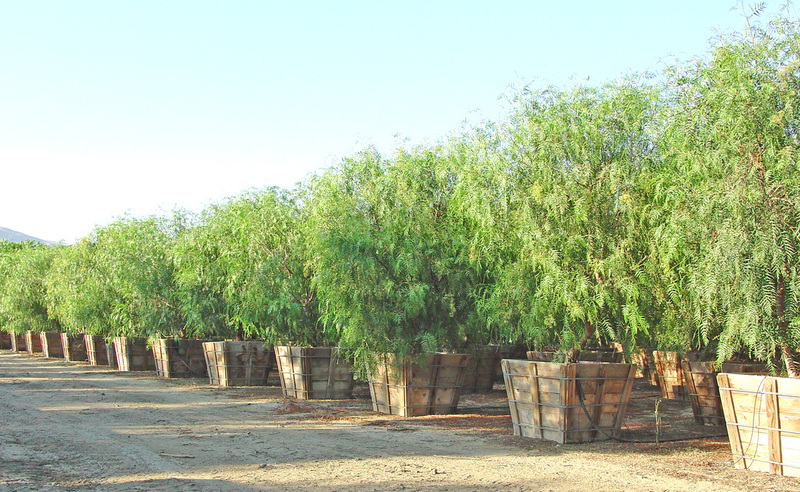 Tipu trees are rapidly becoming one of the most popular varieties we sell. 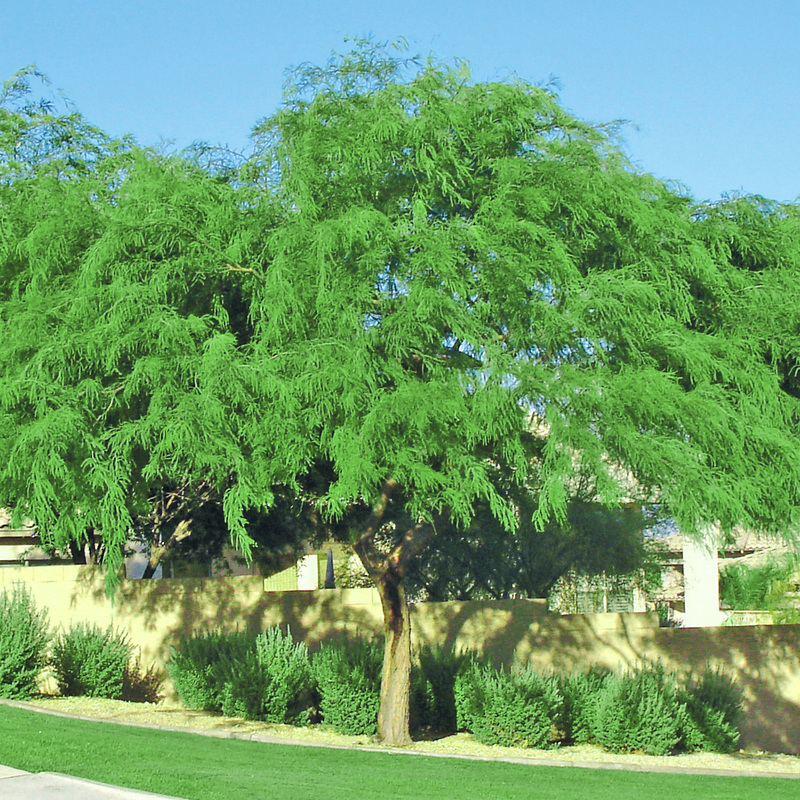 It grows incredibly fast, providing an umbrella of shade. 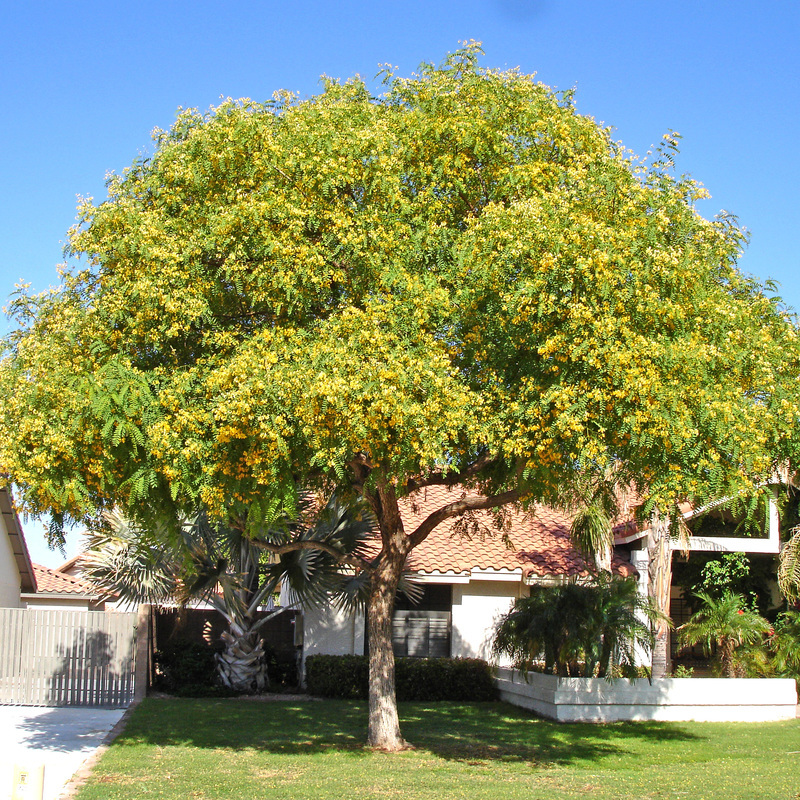 Closely resembling an Aspen, the Sissoo is perfectly at home in California and thrives in ultra hot conditions. These trees grow very rapidly after planting. Sissoo Tree details. 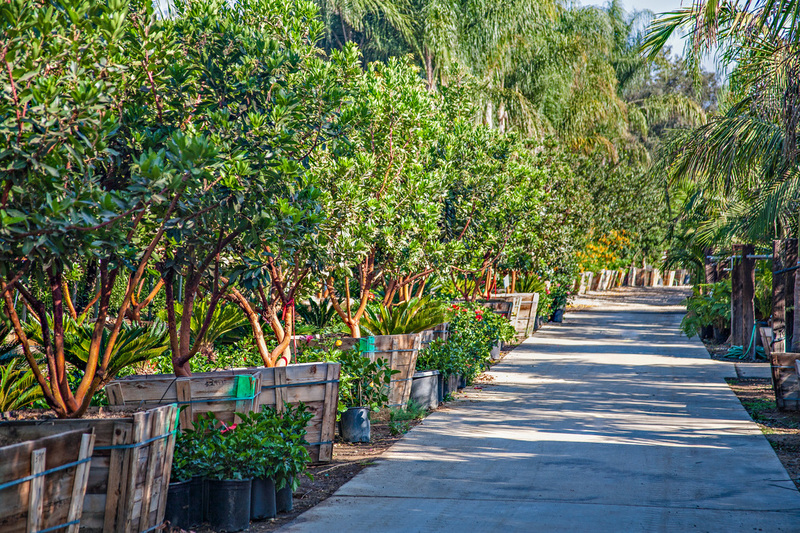 Strawberry Trees are the perfect shade tree for use in smaller landscapes. 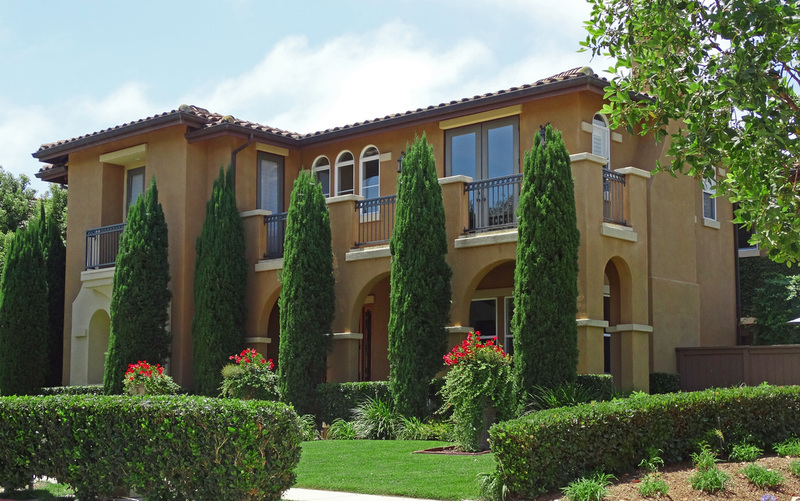 The appearance of both fruits and flowers during winter make it a very popular option for California landscapes. Strawberry Tree details. Unique silver-blue leaves with a slightly weeping appearance make this tree useful for many landscape styles. Willow Acacia details. 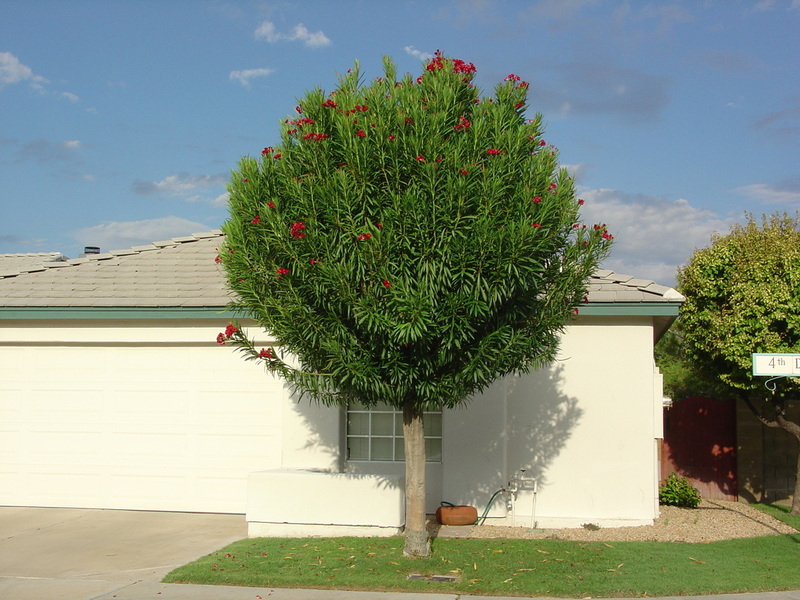 Native to the arid regions of Australia, this unique, medium size tree is right at home here in the West. Very interesting silver leaves give it the right color for all desert style landscapes. Mulga Acacia details. 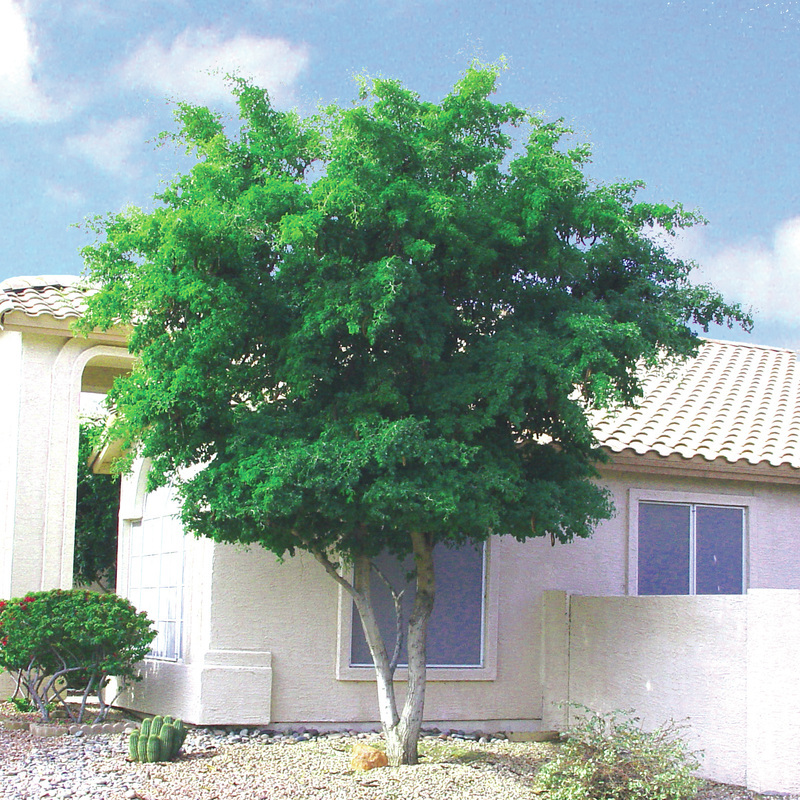 This evergreen tree is great anywhere large shade is desired, as its large umbrella shape provides shade all year long. Always dependable for great shade in any season! This is the purple flowering tree seen all across the Southern U.S. blooming in spring. 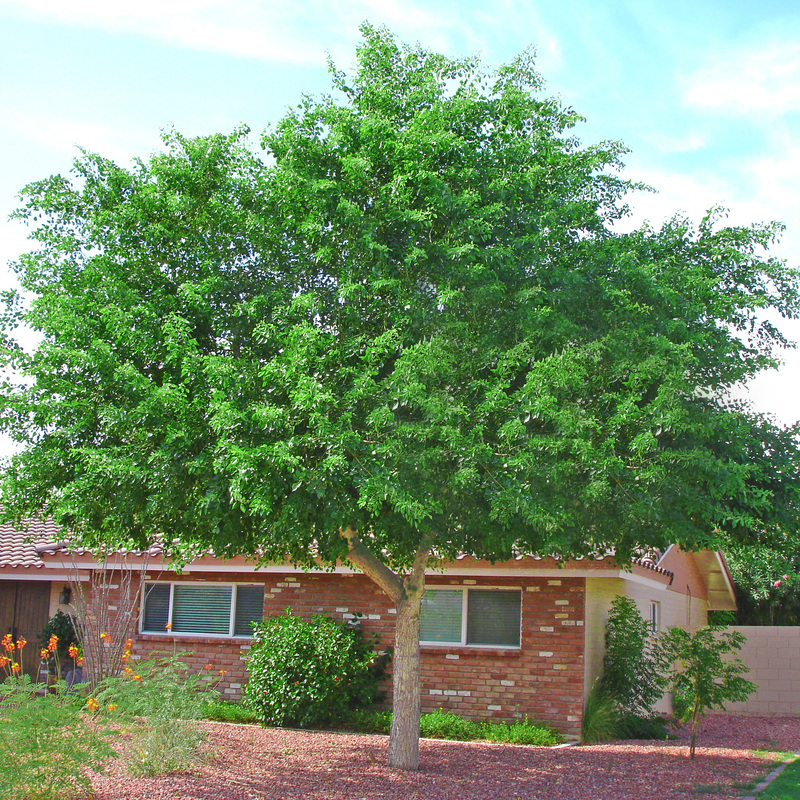 This tree grows very fast and provides a soft, filtered shade. Vitex trees provide a bit of shade and have a fantastic bloom period. 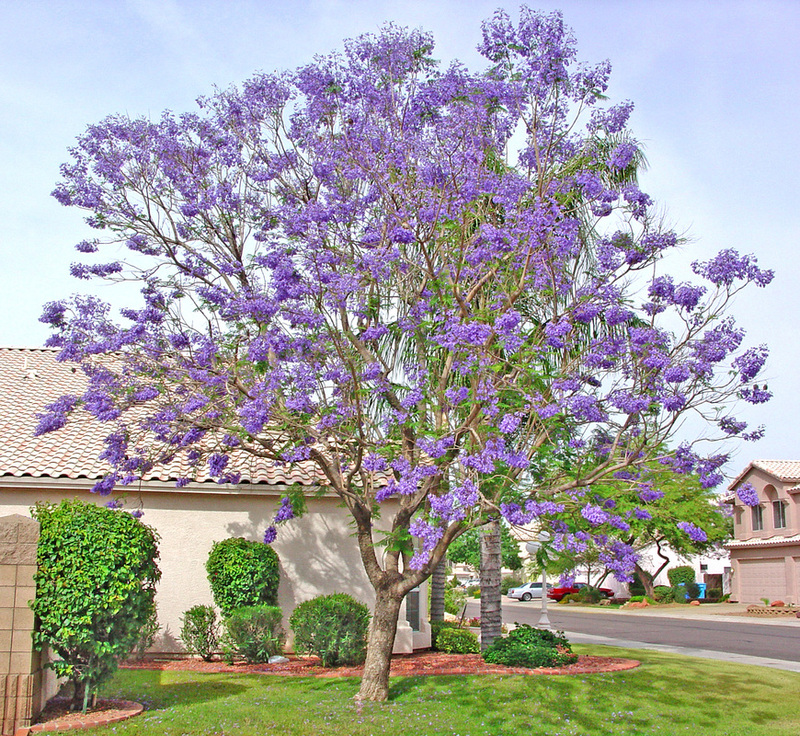 Flowers appear as spikes of purple across the entire tree, and are known to attract butterflies. The Live Oak is a remarkable evergreen specimen native to the Southern U.S. and extremely hardy.